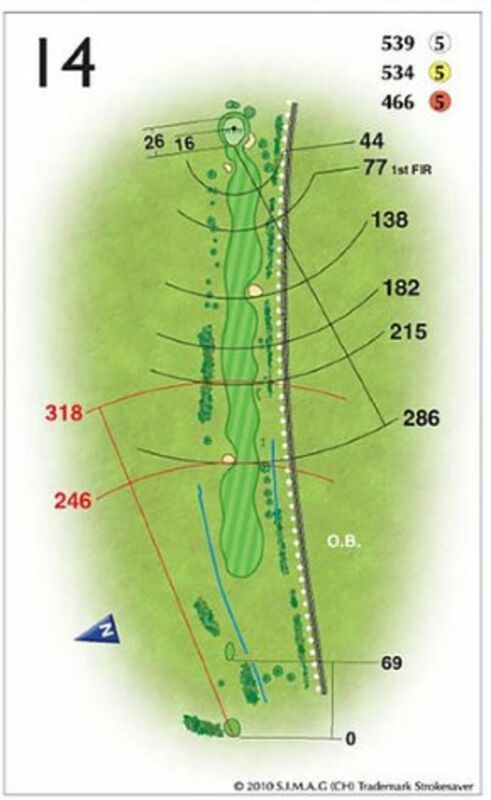 The 14th is the longest of the three par 5 holes on the course and is harder than it seems. If playing into a breeze, you’ll need two long hits to get close. Careful of the fairway bunkers at 250yds on the left and 400yds on the right. The green is protected by two more bunkers and is set on two levels.